BBQ Chefs: Put The Foil Down And Slowly Back Away! Mandeville, LA – The Barbacoa Brotherhood offers our BBQ tip of the day: Foil makes STEAM, Butcher Paper makes BARK. If you’re wondering how really good barbecue chefs make that crispy, delicious bark on briskets, Boston butts and St Louis style ribs, look no further than the choice of foil or butcher paper. It is IMPOSSIBLE to make a good, crispy (not burned) bark with foil, you’ll just wind up steaming most of it away and what isn’t steamed will be brushed away in saucing and cutting. And we all know that barbecue chefs LOVE to wrap things up, like they are putting a baby to bed for the night. 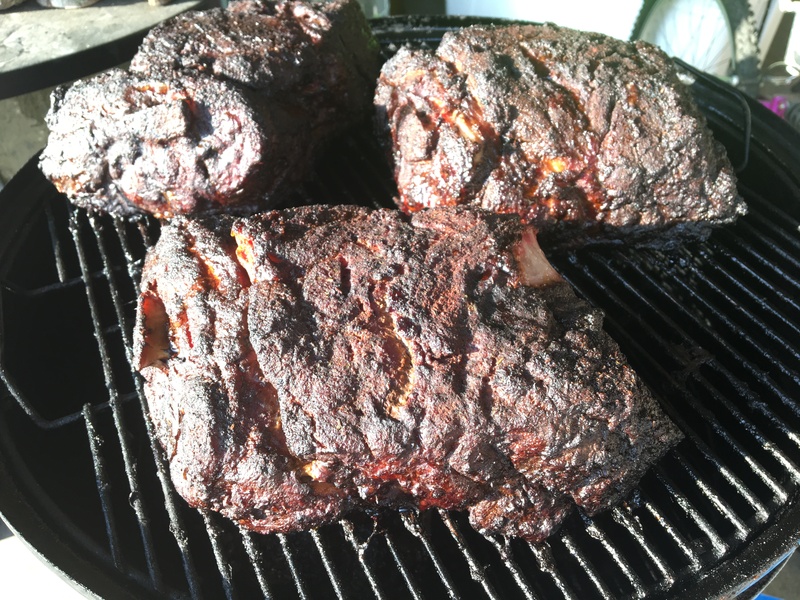 This entry was posted in Brother BBQ Tips. Bookmark the permalink.